Before measuring it is always important to have an idea of the application type, as this will dictate the measurements taken. You will also need to decide on options such as blade size, divider rails, inside or face mounting etc. before proceeding. ShutterKits staff will gladly offer their professional help in any installation enquiries that you have.Because of the plethora of options we find it is best to email us your opening sizes and we will by return email send an itemised quote to you with recommended installation options to best suit the opening inserted in the quote. Attached pdf drawing(s) will often accompany the quotation with further options. Choose a product & blade size. 90% of windows divide by 2 or 4 panels - if different let us know. If you have an idea in mind let us know. Unsure where to start? Send photos. We enjoy helping. Suppling top quality products makes it easy. Is there enough space at the back of the shutter to open the blades? Look for any window handles or any bars that may protrude in to the area of the shutter blades or rails. Need a divider rail? You should have divider rail if the drop of the shutter is over 1800mm. 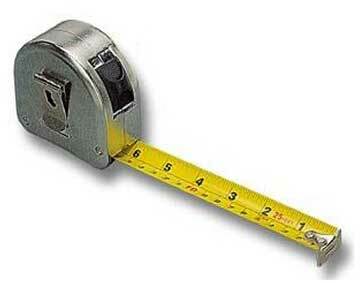 Measure from the bottom of the shutter to the middle of the divider rail. Hinged panels are the most popular form of shutters used. They are primarily used to cover windows, but may be used for doorways depending on the application of each individual opening. It is popular to hinge a panel directly onto another panel. The maximum recommended window/door width for this type of installation is 2400mm wide x 2100mm drop. It is not recommended to hinge more than 2 panels together unless they are supported by a tracking system. Sliding panels are generally used to cover a doorway. Their main attraction is their ease of use, and less intrusion into the room when operated than bifold shutters. It is very rare that there is enough room inside a window opening to accommodate 2 sets of tracks, and therefore sliding panels are not generally applied to a window opening. Sliding doors use a double tracking system to allow a panel to slide past the panel next to it. Overlapped panels slide in behind one another, similar to a sliding door. When opened, there will always be at least half the doorway covered by panels, which should be taken into account you are looking for an unobstructed view when the doors are open. In such cases the bifold option is possibly the better choice. The entire layout should mimic the layout of the door opening. Sliding with the blades in the open position – The panels may pass each other regardless of whether the blades are open or closed. When both sets of blades are open you are able to view through both sets of blades. However, with this option the tracks must be placed further apart. This means that the panels will intrude further into the room. Sliding with the blades in the closed position - An option is provided for sliding with the blades closed. The panels will not intrude as far into the room, but the blades of the panel must be closed when it passes the adjacent panel, so no view is possible. The 'INSTALLATION TYPES' page may be helpful for interpretation of the above information. ShutterKits staff will gladly offer their professional help in any installation enquiries that you have. That's what we do!